We are told in the Bible that GOD made us in his image. Male and Female he created us, and then he breathed his Spirit into us. Well, the first thing we see of GOD in the Bible is in Genesis where he is creating the Earth, and everything in it. GOD is a creator. More than that, he is a loving creator, who loves each beautiful thing he brought forth. He created the peacock because he loves beautiful things, he created the Hippopotamus because he has a sense of humour. And he loved each thing he created. 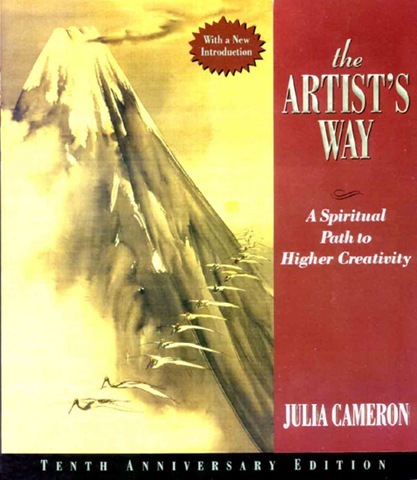 In my writers group at the moment, we are working our way through a book called The Artist’s Way. The book is subtitled “A Spiritual path to Higher Creativity”. I like that. I like the fact that the author, Julia Cameron, says that GOD is a creator, and when he calls us to be like him, he is calling us all to be creators as well. Suppressing your creative spirit is not only suppressing what GOD gave you, but also suppressing part of his purpose for your life – to create. I believe God made me for a purpose, and it might not be to be a writer. But when I write, I feel His pleasure. Because then, I am using His creative spirit. And I hope I can learn to love everything I create, not because it is beautiful, or humorous; but because it is my creation. But how do we cope with the thought that we might be really bad at what we write? I once said I was not a very good writer, and was asked…. D7, do you HONESTLY think that? Honestly? Then why bother? Why not take up cross stitch or chess for a hobby? You obviously feel you have something to say. SOooo I dare you to let one of us (or more) be the judge. Then if we agree with you, we’ll say so and put you out of your misery, or else tell you you’re not awful, and still achieve the same goal! Then everyone’s happy? D7, do you HONESTLY think that? No, I am an arrogant SOB and I think everything I do is perfect. I was just fishing for compliments from those of you who have actually read some of my stuff. Why did Hillary climb mountains? Because they were there. Why did Biggs rob banks? Because that’s where they keep the money. Why do writers write? Because a writer writes. You can read "Snoopy’s Writing guide" and "No Plot. No Problem" until you are blue in the face, but if you want to improve as a writer, you have to write. I used to be a good writer. (By my own standards at least) But I don’t write very much any more. This forces me to do it, and see how I can get better. Otherwise I sink into darkness and despair from lack of motivation. Why not take up cross stitch or chess for a hobby? I did take up chess. I wasn’t very good at it. But I kept doing it for 20 years, and got pretty good. Then I stopped playing for 5 years for personal reasons, and now I play every chance I get, because I am just not as good as I used to be. There’s your answer. Since when was having something to say reserved for those with talent. Shouldn’t literary midgets get to stand on the shoulders of giants on occasion just to admire the view? Except that I never write for other people. I never have. So being good, or awful is not likely to make me happier or less so. Unless you can guarantee lots of fiction groupies with loose morals and looser clothing throwing themselves at me once I start publishing I think I will stay in obscurity and doubt. Happiness is for people who don’t eat chocolate. Which answer do you prefer? Why do you write?